Posted in Sicily. Tags: Etna, Sicily, Sky, Weather on February 28, 2016 by Siljehagen. Posted in Jojo Living in Sicily, Sicily. Tags: Catania, Rain, Rainbow, Season, Sicily, Summer, Weather on September 11, 2014 by Siljehagen. Yesterday a sand storm from Sahara hit Sicily. The afternoon it arrived also Catania. It looked like a fog passing the city and you have sand particles in your mouth, eyes and the entire home. We were out that time and drove home fast as possible to close all the windows and start cleaning. Igår drog en sandstorm från Sahara över Sicilien. Eftermiddagen nådde den även Catania. Det var som att en dimma passerade staden och du har sand partiklar i munnen, ögonen och hela hemmet. Vi var ute den tiden och körde hem snabbt som möjligt för att stänga alla fönster och börja städa. Posted in Sicily. 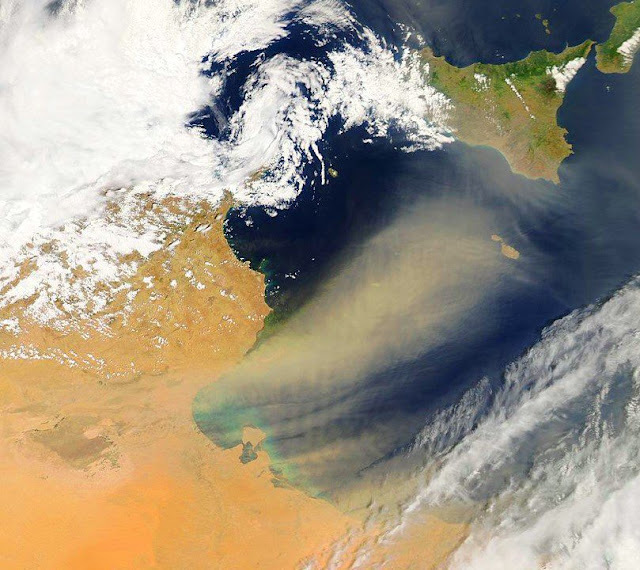 Tags: Afa, Africa, Sahara, Sandstorm, Scirocco, Sicily, Weather on May 23, 2013 by Siljehagen. Posted in Jojo Living in Sicily, Marina di Ragusa (RG). Tags: Beach, Blogger, Life, Living in Sicily, Mariga di Ragusa, Seasons, Sicily, spring, Warm, Weather on March 10, 2011 by Siljehagen.